In 2003, I’d been working at UN Headquarters in New York for six months and was on vacation in my home country of Holland, when I learned that I had multiple sclerosis (MS). The first years that I coped with this disease of the central nervous system, I was plagued by many symptoms: double vision, tingling tongue, facial paralysis. In early 2005, I went on a yoga retreat in the Costa Rican jungle, hoping that this would be a step forward in my healing. To the contrary, I developed trouble walking. Heat and humidity exacerbated my condition—apparently a common phenomenon for MS patients. I came back to a snowy New York, where the artists known as Christo and Jeanne-Claude had installed 7,503 vinyl gates hung with saffron-colored fabric along the pathways of Central Park. I attempted to visit The Gates; with the jungle’s heat and humidity still in my limbs, however, I was only able to shamble a few dozen yards into the park. While my condition slowly improved in New York’s cold and dry weather, I didn’t fully recuperate from my jungle misadventure. By spring, I could walk across Central Park but my legs felt brittle at the end of a walk. Then the summer hit. The city’s hot and humid days rendered my gait that of a badly steered puppet: after walking two or three blocks, no matter how hard I tried, I couldn’t get my legs to move properly. The frightening statistic that one-third of persons with MS end up in a wheelchair loomed large. At the end of August, I met up with Dutch friends for a vacation in France. Even though the late-summer weather was gentler for my condition, I still wobbled. A man who saw me walking—one of my friends told me much later—made a gesture to her of downing a shot, apparently assuming I was drunk. I told my friends that if I had to get a walking stick, I’d at least get a beautiful one; I was thinking of a vintage mahogany cane with a silver handle. Soon after my MS-diagnosis—at the urging of loved ones, who understandably were worried about the degeneration that might lie in store for me—I tried conventional medications. Six weeks into treatment, the injections began hurting so much that I stopped them to do what my intuition had indicated all along: conquer MS in a holistic way. 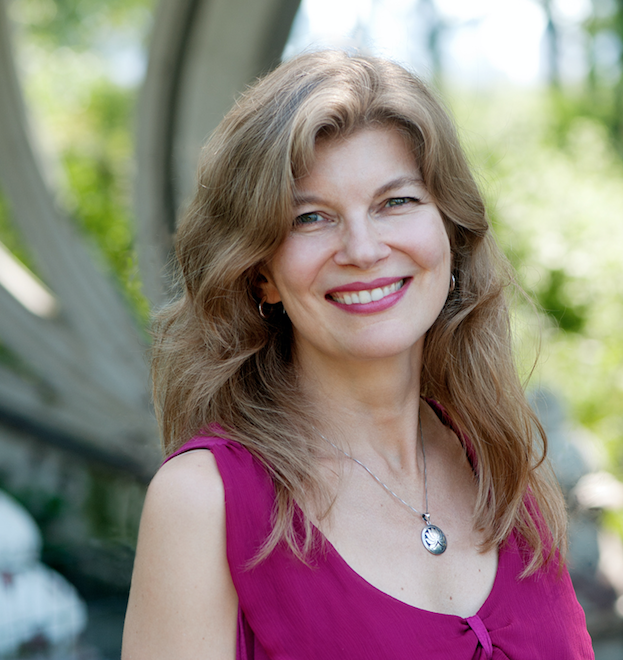 Besides practicing yoga, I adapted my diet; went for acupuncture, reflexology, massages, and colon therapy; read about the connection between the body and the mind; engaged in psychotherapy; carried out visualizations; and learned how to use dreams as guidance. The results were stunning. By the end of 2005, my walking problems had disappeared and I was even back to running on high heels to catch a bus! In the following years, to my enormous relief, I remained free of symptoms no matter how many sweltering “oven days” the New York summers brought. In the spring of 2010, I went on another vacation in France with the same friends with whom I’d discussed what type of cane I’d get. This time around, I tried something I hadn’t done since my diagnosis: play tennis. Although I’d never gotten beyond the level of advanced beginner, I’d always enjoyed the sport. During our week in the French spring, I sent a few balls into the bushes. But I could play! When I told my fantastic friend P.J. Simmons about that highlight of my vacation, he gave me as a birthday present a tennis class taught by P.J. himself. Best tennis lesson ever! P.J. filmed me with his iPhone to show me how I hiked up my left shoulder when setting up for my forehand and how my swing backwards was too big. He urged me to sign up for tennis classes in Central Park. I had no idea how to fit those into my schedule, in part because my health regimen—which I kept in place to keep free from symptoms—demanded a few evenings each week. Those of you who know P.J. know how hard it is to say no to this passionate, persuasive tennisaholic. Move over, acupuncture, massages and psychotherapy! In the spring of 2012, I registered for classes at the Central Park Tennis Center. Every Thursday evening — enveloped by the park’s buoyant, fragrant green — I’d get an advanced-beginner lesson. The end of each session always came too soon. Before long, the summer presented its worst heat and humidity. Seven years after a vacation in the jungle had left me unable to shuffle even a little way into Central Park, seven years after I could hardly walk a few blocks on New York’s “oven days,” I was able to play tennis in the park despite the stifling heat! Even when I hit a ball into the net, I’d smile from ear to ear. Drunk with delight, I’d bounce around the court, if only to pick up balls. 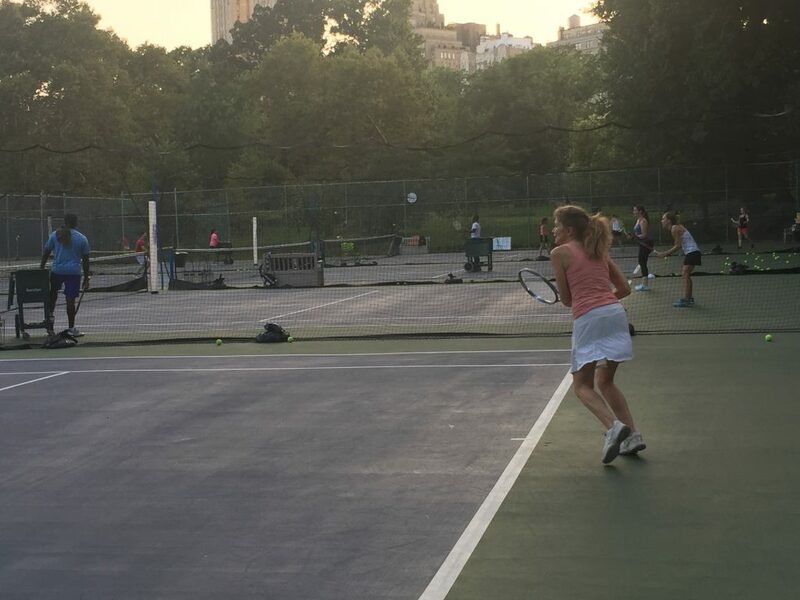 To this day, my yearly series of tennis classes in Central Park (which in 2015 included a make-up class of two hours during a heat advisory!) are the most wonderful reminder of how privileged I am to have overcome my disease. Playing tennis for me has become an exercise in gratitude. Now, every time I hear the Central Park Tennis Center’s announcer tell us that “tomorrow is another day,” I smile and think: Yes. Another day indeed. Marylene Smeets is originally from the Netherlands and now lives in New York City, where she works at the United Nations Department of Political Affairs. She has written a book about how she conquered MS. She hopes that her story can be of support for persons with any health challenge. Marylene is seeking a publisher for her Dutch-language manuscript and intends for it to be translated into English.